“Troubleshooting Contest 1（DATAHOTEL CUP）” held on March, 7 and 8 2014 in Osaka Information and Computer Science College. This contest held for Students of Cisco Networking Academy members. And this contest is team system of one set of five people. ICTEPC(ICT Education Promotion Council of Japan) Network Education Working Group held “The 2rd ICT Programing Contest” on May, 18 2013 at LINE Corporation. 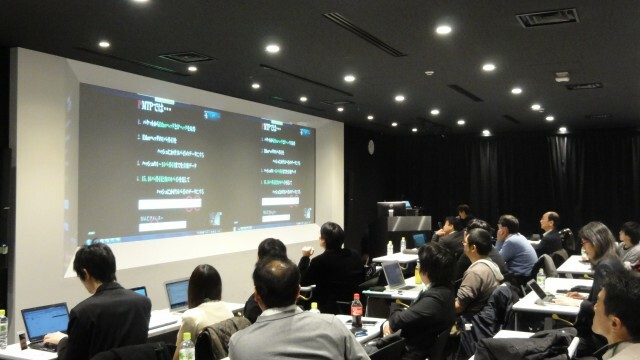 ICTEPC(ICT Education Promotion Council of Japan) Network Education Working Group held “The 3rd ICT Programing Contest” on January, 18 2014 at LINE Corporation. School Caravan in Doshisha Women’s College. 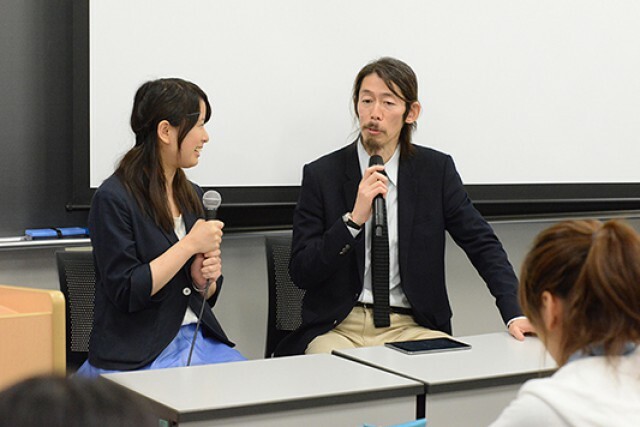 We held “School Caravan” held on May, 26 2014 in Kyoto with Cisco Networking Academy Japan, and Doshisha Women’s College. The purpose of this event is information for the students about ICT industry. And we hope this event to help for students to understand and work in the ICT industry. 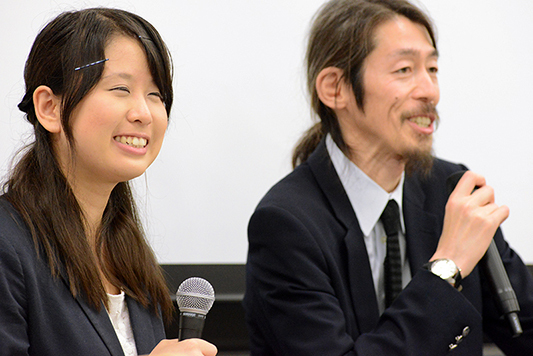 We held “School Caravan” held on May, 26 2014 in Kyoto with Cisco Networking Academy Japan, and Doshisha Women’s College. The purpose of this event is information for the students about ICT industry. And we hope this event to help for students to understand and work in the ICT industry. This is information for the participant of the ICT troubleshooting contest and considering to participate for that contest person. The high scoring team of the 1st and 2nd “ICT Troubleshooting contest”, they can participate the contest “Netriders Competition 2014 the preliminary of the tournament of APAC in Japan(Aug, 23 2014). The Cisco Networking Academy NetRiders APAC tournament is held on Oct, 22 2014. 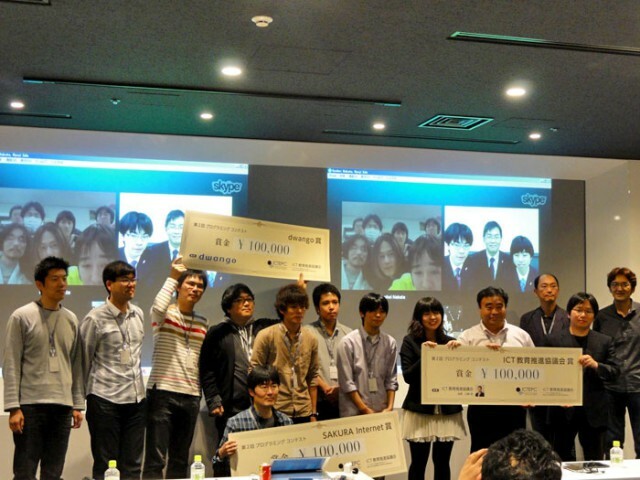 We will hold The 2nd Troubleshooting Contest（Kanto Tournament）on August, 6 and 7 2014 in Tokyo. This contest aimed for the participation of the students of Cisco Networking Academy. The questioning each session and the team challenges to solve till in a time. It is important not only quicker solved in time, but the answer need accuracy and Clarity. And this contest is a team system tournament, that is needed communication skill to solve the problem. The questions are not only network but Linux and security. It is good to compete with same generation engineers, and please further exchange another team member. Contest Start. Total 8 Qestions. Before the Contest start. There are Teaters who helped this contest, and Students of Executive committee. “Troubleshooting Contest 1（DATAHOTEL CUP）” held on March, 7 and 8 2014 in Osaka Information and Computer Science College. This contest held for Students of Cisco Networking Academy members. And this contest is team system of one set of five people. 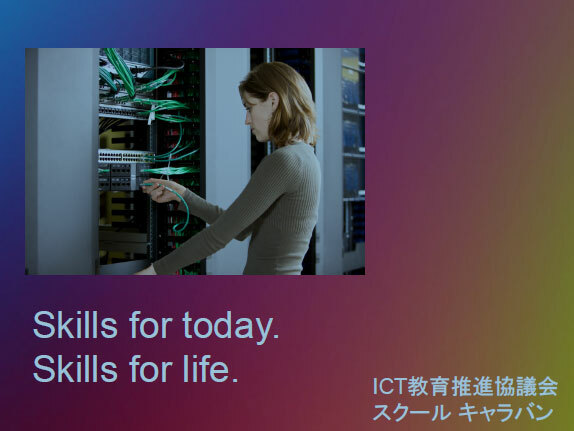 March 7(Fri) A presentation from Koichi Ise DATAHOTEL and Kohei Hayakawa from Cisco systems. 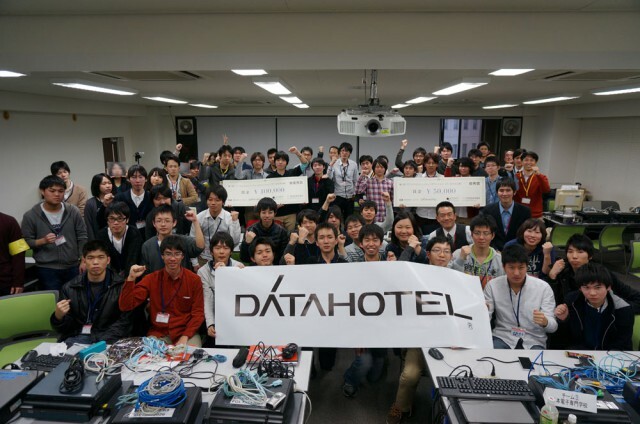 We will hold the “Troubleshooting Contest 1（DATAHOTEL CUP）” on March, 7 and 8 2014 in Osaka Information and Computer Science College. This contest purpose is Training and Excavation of youth who carries the next-generation ICT industry. Not only server and network construction and operation, compete for ability of the power of originality and imagination and programing, implementation ability. We hope to further exchange between the participants by competing their skill. This contest consist of document screening and demonstration and presentation.Preliminary is document screening, and Final Stage is demonstration and presentation. We focus on imagination and originality at Preliminary, and Final, we judge for Utility and Extensibility. The 3rd Event Network Construction Project. Author: ICTNW | Category: 2013, Event Network Construction Project. Thank you for JPNIC (Japan Network Information Center) cooperation for our Network Construction plan. We were given the opportunity for event network construction for students, in Tokyo Internet Week 2013. November 6, 2013 we held “The School Caravan” at Kyoto Women’s University, we had talked and presentation. A project which we visit the school of local and talk about the trend of ICT industry, enjoyment of ICT industry and activity of the woman engineer and activity of person from faculty of liberal arts for students.